The serpent or worm body form is very common in nature. 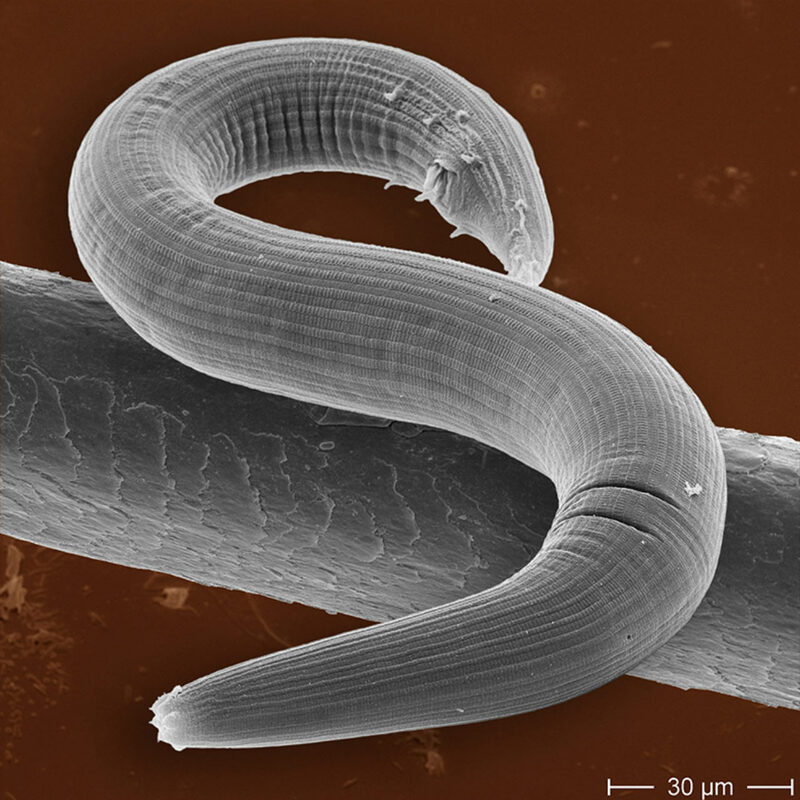 The nematodes alone outnumber other phyla including the arthropods. This webpage describes five types of locomotion used by snakes. Snakes also have various techniques of climbing, burrowing and swimming. Earthworms add the technique of moving peristaltically to the repertoire of this body form. It is therefore not surprising that some robot designers have drawn inspiration from the snakes and worms. 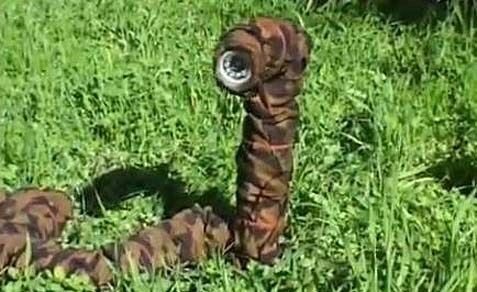 The Israeli military already use a snakebot, although this is a simple teleoperated drone. The snakebots of TS will be far more capable. When it comes to considering TS snakebots a useful piece of advice is to not be too literal. Just because it is inspired by a snake does not mean that it cannot have useful features such as legs. A legged snakebot may have legs its full length, like a millipede or centipede. Alternately it may just have a few legs at each end, rather like a caterpillar. The snakebot may have devices that function like a worm’s setae. Some form of grasping appendage is also likely to be present to serve as manipulators, feelers and sensors. If the snakebot has grippers at each end it may use novel types of locomotion such as brachiating or tumbling like a toy slinky. Less violent applications of snakebots include inspection and maintenance. Most spaceships and large vessels probably have a few snakebots crawling around in the spaces a human cannot fit. An interesting idea for snakebots is what I term the “amphisbaena option”. Effectively this means the snakebot has a head at each end. I mentioned this design feature in my post on surveillance worms and it offers a number of advantages. The most obvious is that a snakebot in a narrow tunnel or conduit does not need to turn around if it wishes to retreat. A head at each end also gives it better situational awareness against possible threats. Snakebots have many possible applications. Their low profile and varied means of locomotion makes them very useful for infiltration and reconnaissance. Imagine having a spy that can climb up the inside of a drainpipe and then view a secret meeting from the guttering! Snakebots longer than a yard can probably operate door handles. Consider a scenario where a tong member visits a house with a snakebot wrapped around his leg and concealed by his clothing. At a chosen moment the snakebot slides down over his shoe and hides beneath a piece of furniture. That night the snakebot slides along the skirting board, unseen by security cameras. It climbs the stairs and reaches up to open the bedroom door. It then climbs up onto its target’s bed. Even if the snakebot has no built-in weapons it can still wrap itself around its victim’s throat. If a snakebot has legs or grippers at each end it can anchor one end to a surface and act like an arm or tentacle. The surface it attaches to may be that of another robot or a battlesuit. Possibly both snakebot and host are controlled by the same intelligence. Effectively this gives a cybershell a number of extra arms which happen to be detachable and capable of functioning away from the body. In the opening paragraph I mentioned nematodes. Nematodes inhabit a diverse range of environments yet all seem to use the same general design. Does this suggest that vermiform may be a good option for nanobots and microbots. That many nematodes are parasitic suggests that this is a viable option for robots that will operate within the human body.